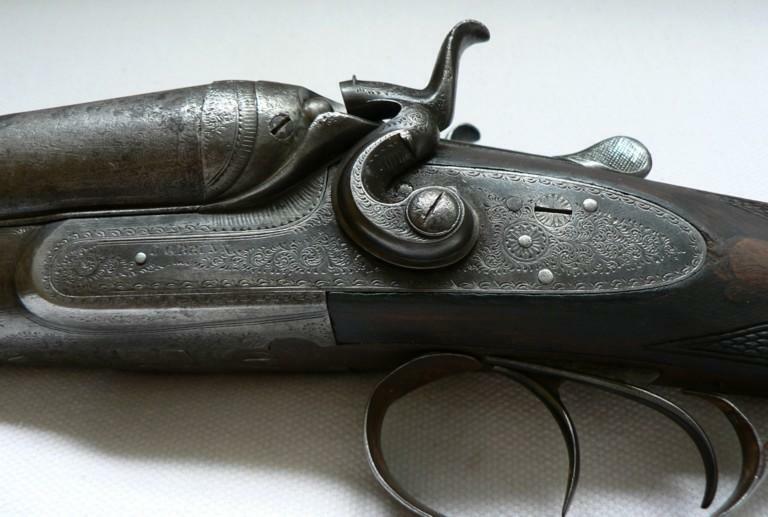 The arms manufacturers of Liège did not sell that finished parts, they sold also detached parts and Damas barrels were the great speciality of the gunners of Vesdre in second half of the 19th century, to disappear completely about 1930. This weapon is a shotgun to unrifled bores and juxtaposed. 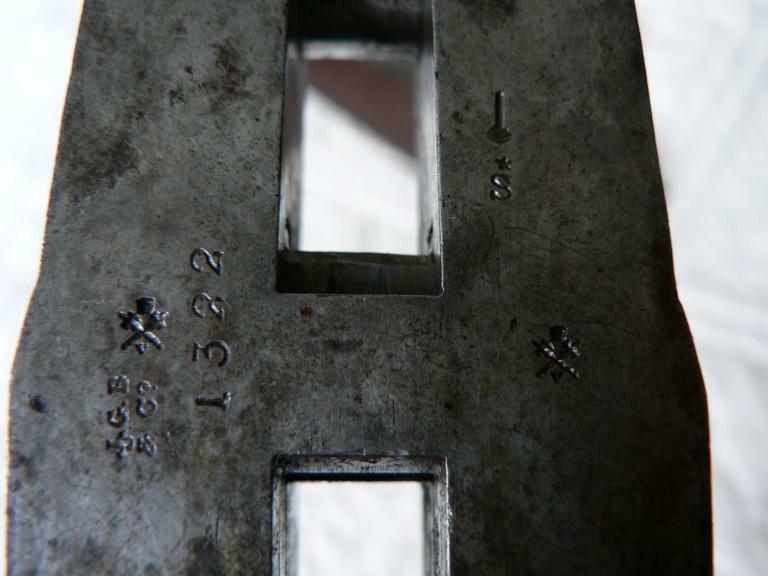 The hammers are external and the key of opening is between those. 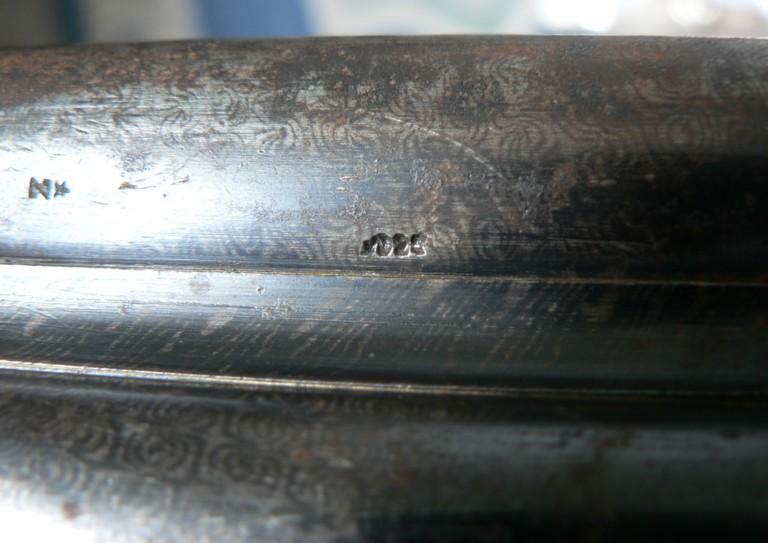 Locks are covered with a floral engraving of English style. The stick is also “with English”. The barrels are in Damas. The mark of English test could be the final test used of 1813 to 1904. 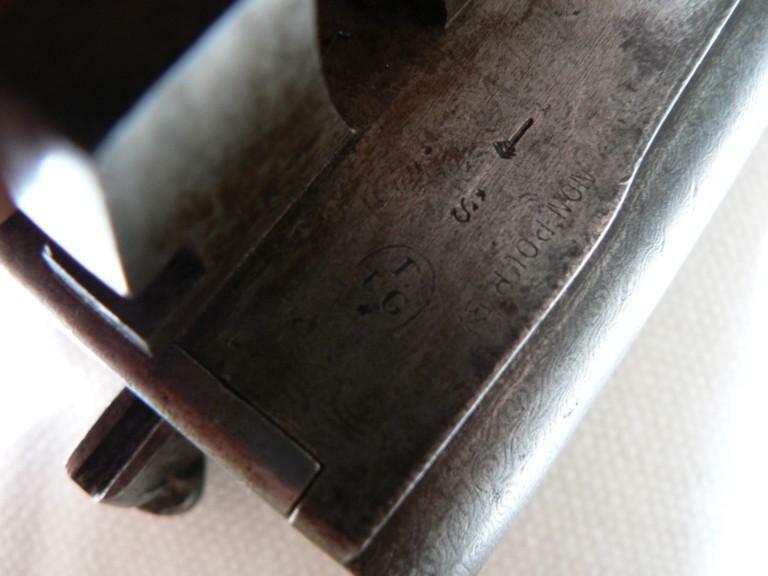 It is indeed about a hybrid weapon since the rocker and locks are of origin English and marked J.G. BRUNN & Co. I did not discover any BRUNN J G in Stockel but quite BRUNN Samuel London 1795/1819. 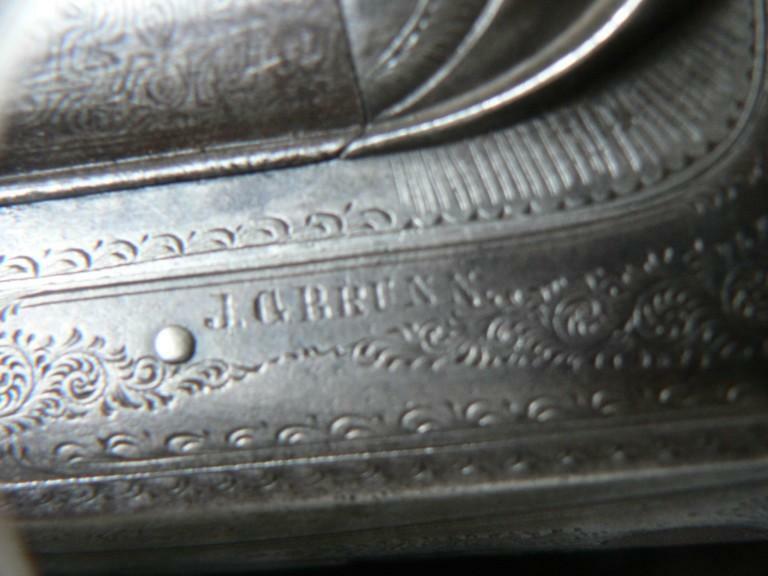 a) The manufacturer BRUNN made come the Damas barrels from Liège to place them on rifle, the reverse is not very credible because there were many specialists in Liège which could have carried out same work, free so that BRUNN strikes his mark there! 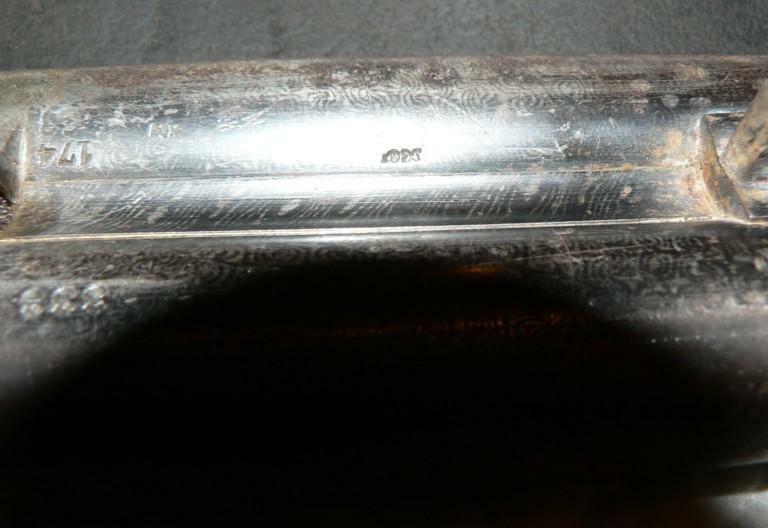 b) It acts of a replacement of barrels by one of the successive owners of the weapon? ELG star in an oval: acceptance of 1846 to 1893. EL in cursive letters: provisional test post 1852. 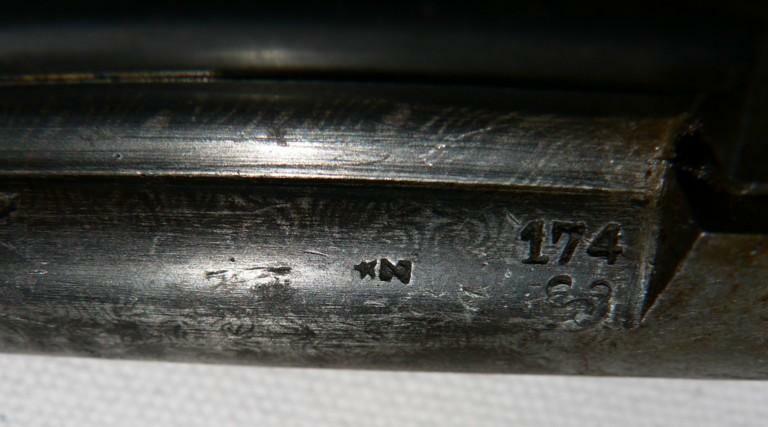 NOT FOR BALL: chokes unrifled bores, of use of 1878 to 1897. 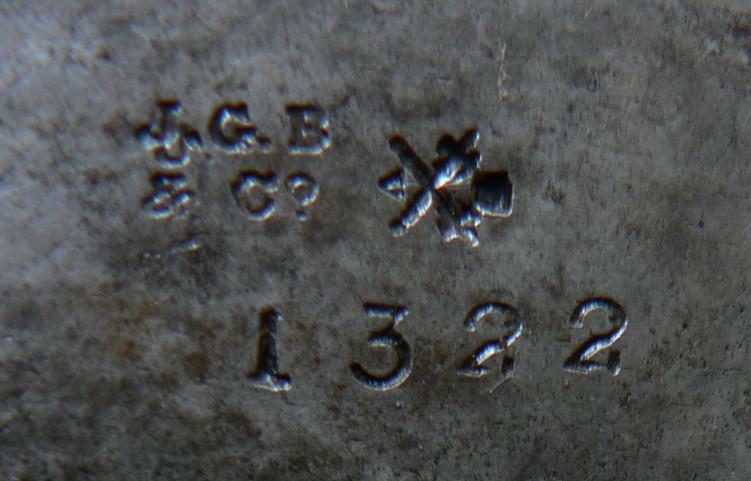 From these various punches of Liège, it comes out that the barrels were manufactured between 1878 and 1893; the parts of Birmingham are probably of the same time.